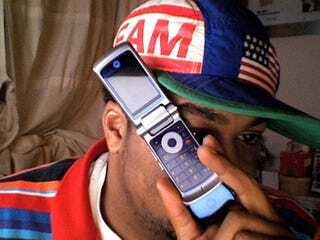 Here is hip-hop mogul, Just Blaze, posing with the Motorola Canary. Just Blaze is well known for being a connoisseur of all things cellphoney, so it is no surprise that he managed to get his hands on the Canary. Thanks, Adam.